Attack on titan. Armin, Eren and Mikasa. 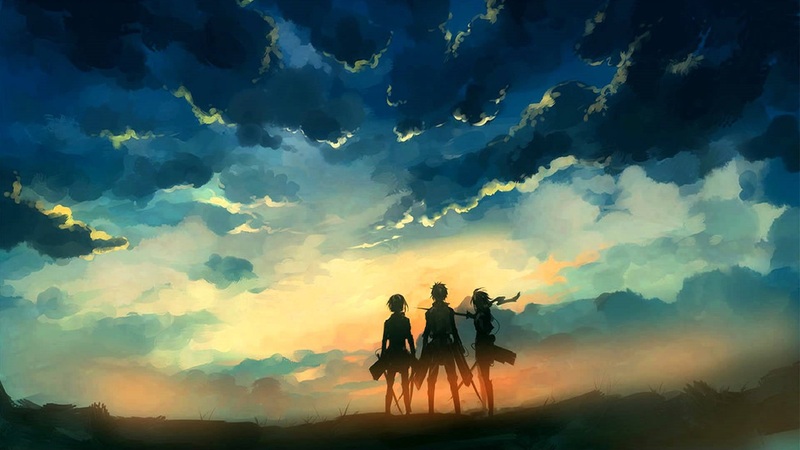 HD Wallpaper and background images in the शिंगेकी नो क्योजीन (अटैक आन टाइटन) club tagged: photo attack on titan mikasa eren annie connie sasha jean armin christa. This शिंगेकी नो क्योजीन (अटैक आन टाइटन) wallpaper might contain सूर्यास्त सूर्योदय, सूर्यास्त, सूर्योदय, ऊंचे पहाड़ पर चढ़नेवाला, अलपिनिस्ट, and alpinist.